We are living in unsettled times. Americans are unsure about the safety of their families, finances, and communities. At the same time, many are facing life-altering situations of their own that can include their or a family member’s health crisis, loss of a loved one, troubled relationships, and isolation due to age, illness or any number of factors in their personal lives. HCCN offers a place to turn for anyone seeking support, understanding, and an end to isolation that is sometimes fueled by fear or despair. 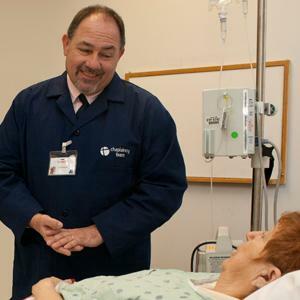 Our chaplains offer person-to-person care at numerous hospitals and outpatient facilities in New York and beyond. And, via phone, email or video call, people are reaching out to our helpline – called Chat with a Chaplain or Chat with a Counselor – for connection, relief and a way forward. Misunderstanding continues to this day about what chaplains do. Dispelling this misunderstanding is critically important, especially given the unique set of skills that chaplains bring to their work. A chaplain can be part of any faith tradition, or no faith tradition. 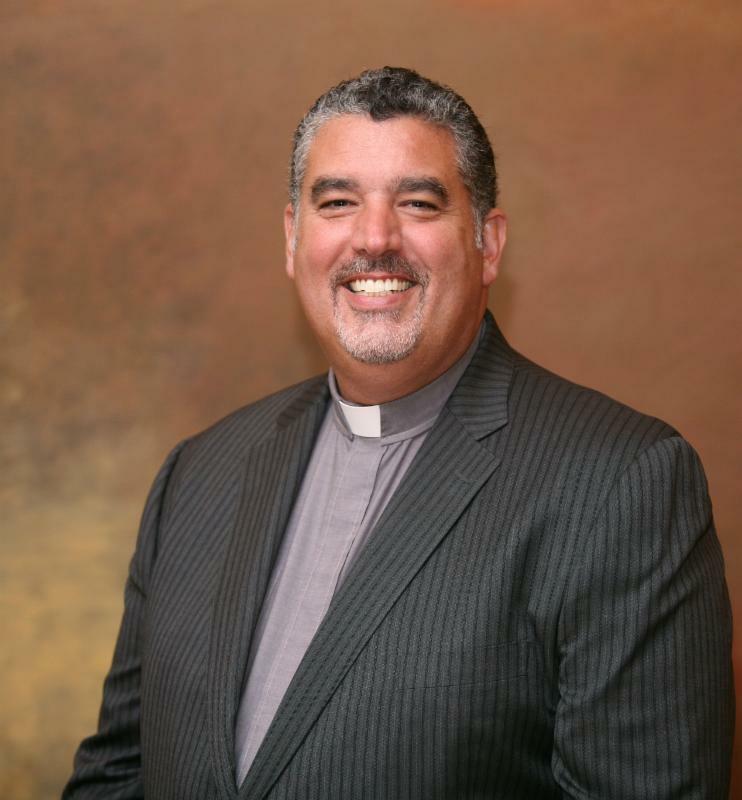 She or he may be a clergy member, but even chaplains who are clergy are specifically trained – through both academic work and a clinical residency – to address the emotional, existential and spiritual needs of anyone who seeks help, regardless of that person’s faith, or lack thereof. Proselytizing is not under the chaplain’s purview. Chaplaincy care is open to all, without exception. In this complete openness and compassionate understanding that all faiths – whether of organized traditions or individually-held – connect with each other in our spiritual depths, chaplaincy is a profession that can bring healing in these times of fear, hurtful rhetoric and division. 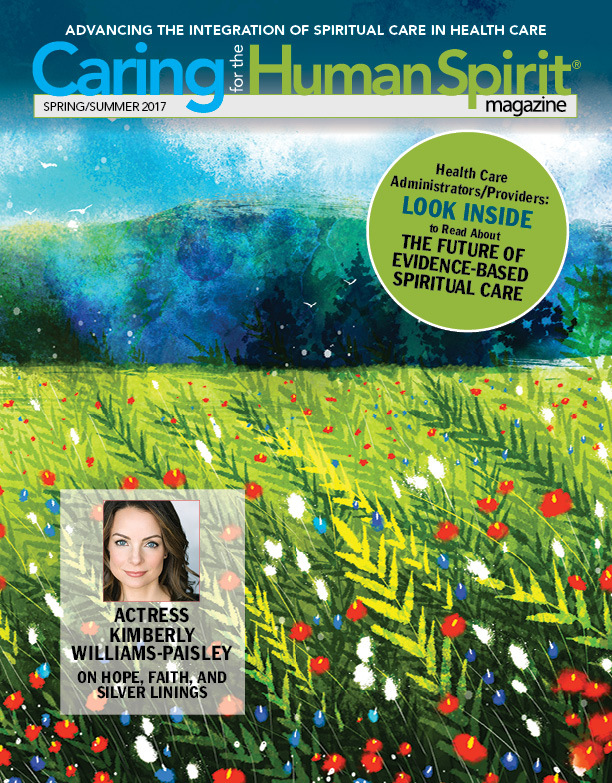 At HealthCare Chaplaincy Network, we are working to make a greater difference in this world of ever-increasing need – to reach greater numbers of people in crisis with our Chat with a Chaplain or Chat with a Counselor helpline, and to provide more bedside chaplaincy services at our partner hospitals where we care for patients, families and medical staff. 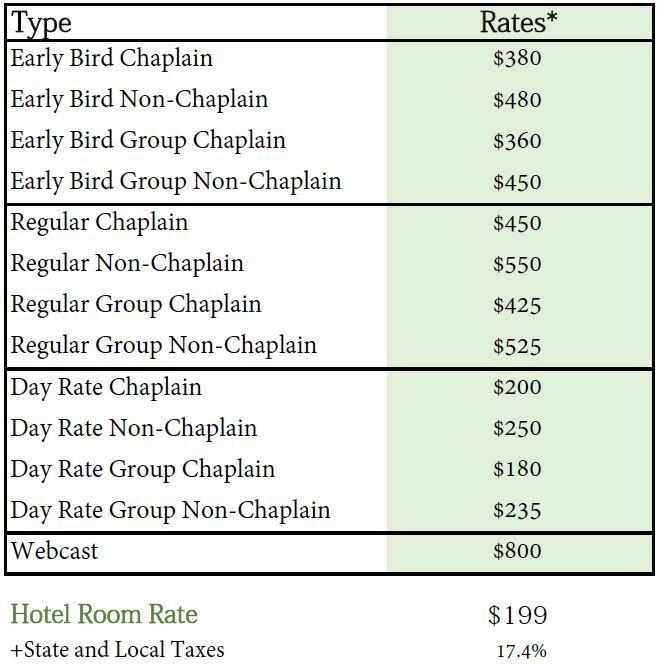 Indeed, the services of our chaplains are more in demand than ever before. In 2017, we added six new hospitals to those where we provide direct chaplaincy care. 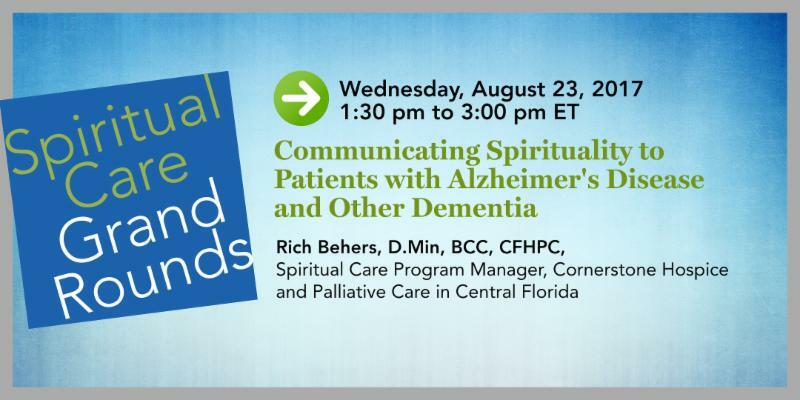 Increasing numbers of nurses, social workers and doctors are looking to HealthCare Chaplaincy for education on how to address the spiritual, emotional and existential concerns of their patients – how, in other words, to care for the human spirit in conjunction with all else they do. 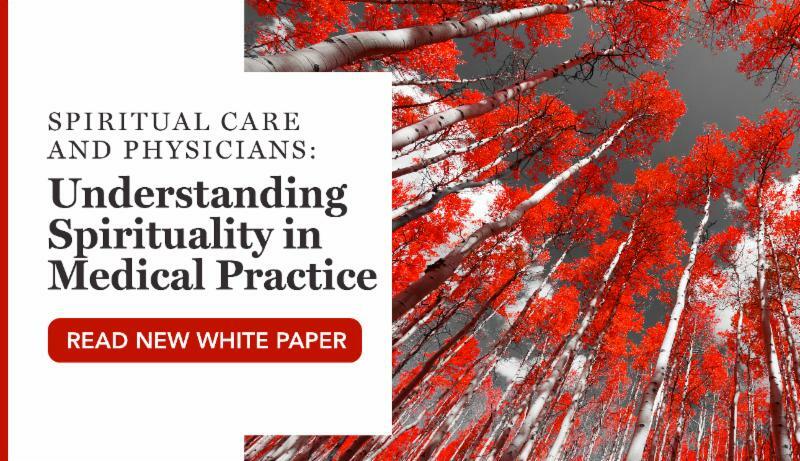 And we are leading the way in defining and sharing best practices to ensure that this kind of care, which considers patients’ values and deepest concerns, is based on what works in relieving suffering and improving patient experience and satisfaction. that can define us as human beings. Wishing you every blessing for a peaceful holiday season and coming year. Through its affiliate, Spiritual Care Association, HCCN and NYSCTF will be working closely to heighten attention to the need for spiritual care services in their local communities and around the country. Our online store is a one-stop resource center for educational content, publications, research and tools for chaplains and other professionals working in spiritual care, palliative care and health care. Explore what we have to help you. 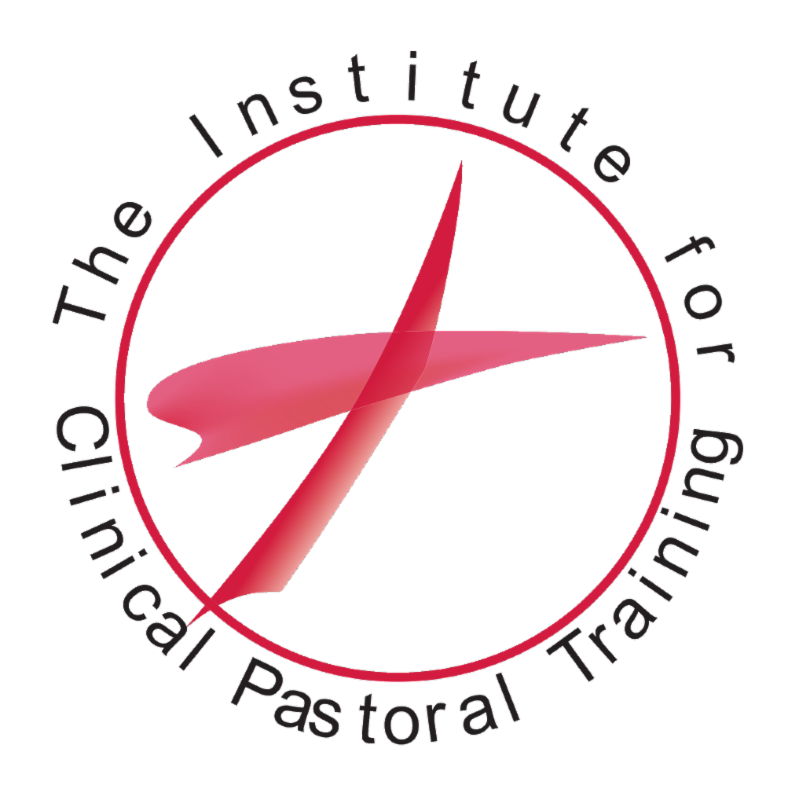 HealthCare Chaplaincy Network (HCCN) has partnered with Mercy Health - Youngstown in Ohio in advancing their Clinical Pastoral Education (CPE) program by providing a CPE Certified Educator, as well as introducing HCCN's CPE online program to the organization. Read the current issue online. As the Spiritual Care Association finishes the first quarter of its second year, the same principles apply: to advance professional chaplaincy and the spiritual care field. 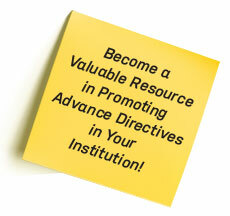 A letter was sent to Health Care Executives providing more information about its education and certification models. It is not possible to be constantly happy. One therapist explains how feeling discontented aids in our level of happiness. 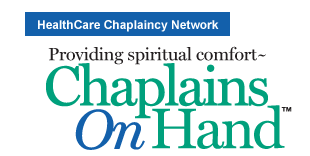 HealthCare Chaplaincy Network has been supporting chaplaincy departments for over 50 years? We are currently providing services to dozens of institutions in the United States that range from on-site chaplaincy services to more innovative programs that bring comfort and meaning to patients. HealthCare Chaplaincy Network (HCCN) has begun a clinical partnership with University Hospital in Newark, NJ (UHNJ). 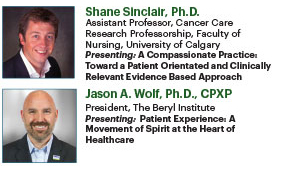 As a partner institution, UHNJ will benefit from HCCN's clinical expertise in integrating spiritual care as a unique contributor to evidence-based best practices within patient-centered healthcare. 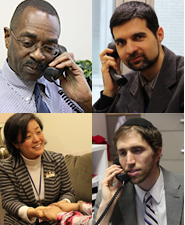 In addition to staffing their chaplaincy services department, HCCN will provide a wide range of value-added services. 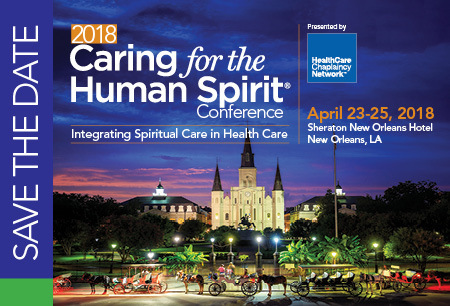 HealthCare Chaplaincy Network will be hosting its 5th annual Caring for the Human Spirit Conference: Integrating Spiritual Care in Health Care at Sheraton New Orleans Hotel in New Orleans, LA, April 23-25, 2018. There will be a multitude of workshops for chaplains, nurses, social workers, physicians and other healthcare professionals to earn continuing education credits and/or hours. A new addition to the upcoming meeting will be the inaugural Spiritual Care Association Meeting: an event that will include a reception on the Tuesday night and a breakfast on the Wednesday morning. More information will be made available shortly. 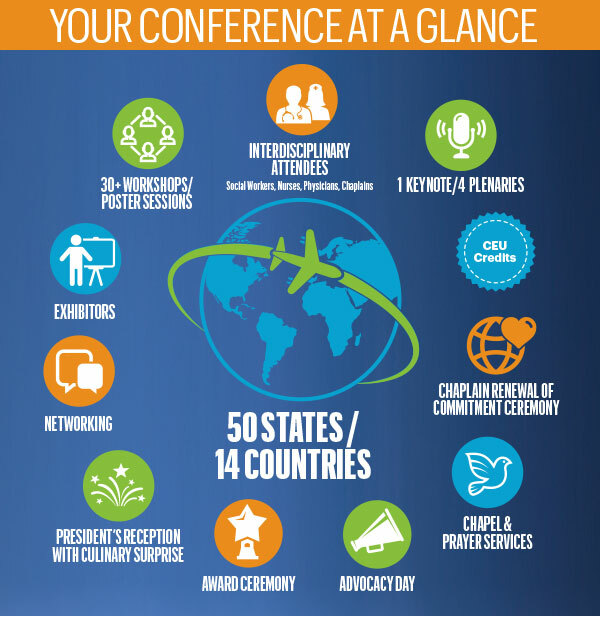 In 13 months, the Spiritual Care Association (SCA) has made its presence felt in various countries, most notably in the ones where it collaborates with 12 international offices: China, Ethiopia, Haiti, India, Israel, Italy, Jamaica, Malawi, Pakistan, Singapore, Ukraine and Zambia (two offices). SCA supports each organization with resources, training, and, together, advance the importance of spiritual care and the profession of chaplaincy. Roughly two-thirds of deaths occur in a hospital or nursing home. It is no surprise that most people in good health prefer to die a pain-free death at home. Palliative care can aid in this transition. 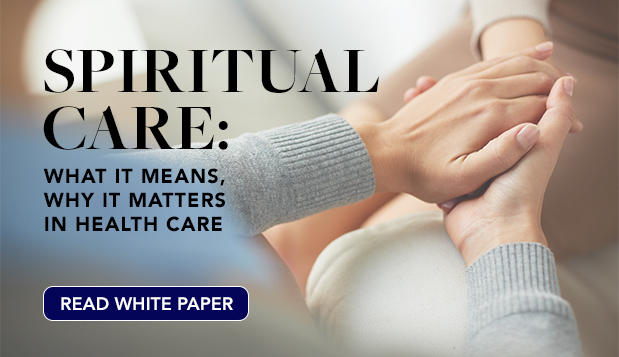 The Spiritual Care Association (SCA) is the first multidisciplinary, international professional membership association for spiritual care providers that establishes evidence-based quality indicators, scope of practice, and a knowledge base for spiritual care in health care. 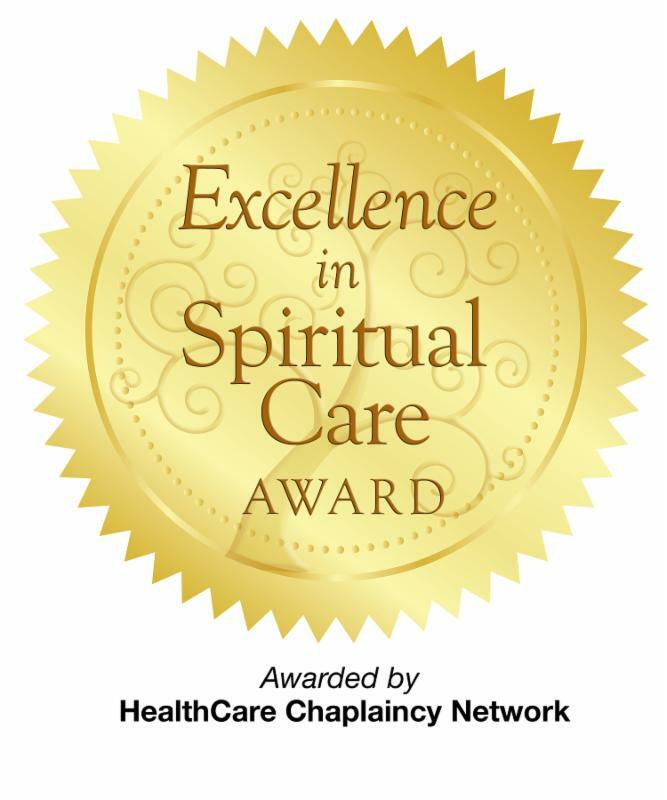 As health care providers emphasize the delivery of positive patient experience, SCA is leading the way to educate, certify, credential and advocate so that more people in need, regardless of religion, beliefs or cultural identification, receive effective spiritual care in all types of institutional and community settings in the U.S. and internationally. SCA is committed to serving its multidisciplinary membership and growing the chaplaincy profession. For more information, visit www.SpiritualCareAssociation.org, call 212-644-1111, follow on Twitter or connect on Facebook and LinkedIn. The nonprofit SCA is an affiliate of HealthCare Chaplaincy Network™ with offices in New York and Los Angeles. We hope that you find this complimentary monthly e-newsletter informative. Below are short summaries of each selected item with links to the entire pieces. Also included is a downloadable PDF version for readers who prefer that format. 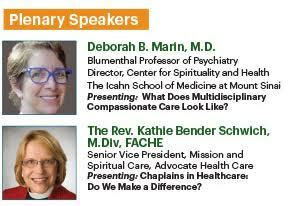 Please feel free to send any questions or comments to comm@healthcarechaplaincy.org. May you enjoy a Thanksgiving holiday filled with the goodness of friends and family. March 13-15, 2017 | Chicago, IL. will automatically receive 10% off. This discount will be available only on November 29 and will expire at midnight. Ramanathan Raju, MD, MBA, FACS, FACHE is President & Chief Executive Officer of NYC Health + Hospitals, the largest public health care system in the U.S. He recently spoke at the World Economic Forum, and what he posted on Twitter is a good reminder for every health care provider. Dr. Raju said, "We must continue the proactive shift to value, which differs for each patient. Don't ask 'What is the matter?' ask 'What is the matter to you?" Kerry Egan's job is to help dying people accept their own mortality. It's profoundly sad, but it's also rewarding. "I'm constantly reminded of ... how much love people have for each other, and the love that's all around us that we just don't necessarily take a moment to see," she says. Yesterday, I stubbed my toe on an IV pole. Though not uncommon for someone working in a hospital like myself, this particular IV pole was located not in a cancer ward, but in a synagogue-the synagogue that is part of our hospital. While living in the US, I expected church to be separate from state. Most US citizens regard religious liberty as a core value guaranteed by their country's Constitution. Although in practice that may not always be the case, conceptually, this is the American way. When I moved from Philadelphia to Tel Aviv 19 years ago, however, I realized things were different. As there is no separation of church-er, synagogue-and state in the deeply Jewish nation of Israel, I've since given up the inviolable principle of religious liberty. Today, I reside in a country where religion is inserted into government as well as life in general. Every patient has a story and an experience, and my patient experience began on July 6, 2004. One month after graduating from high school, I was involved in a near-fatal car accident. My heart shifted across my chest, lungs collapsed, major organs were either lacerated or failed completely, my pelvis was shattered, and I lost 60 percent of my blood. I was airlifted to shock trauma near death and underwent immediate surgery: 14 lifesaving surgeries total. On life support and in critical condition, I was then placed in a medically induced coma for the next two months. During my time in ICU, I had dozens of great care providers looking after me, but there were also several care providers that were excellent. The difference came from their level of compassion and communication. In 1992, the other Clinton-Bill-successfully ran for President using the key message, "It's the economy, stupid." The phrase was coined by his campaign team to remind themselves and voters that the key to victory lay in focusing on the weak economy. It was a clever slogan. More importantly, it was a simple and potent reminder of what actually mattered to people. When people talk about "patient-centered care" like it's a radical, revolutionary idea, I have a similar reaction ("It's the patient, stupid"). Who else but the patient should be at the center of the care system? Organizing the health care enterprise around the patient should be an obvious no-brainer. And yet, the reality is that too often the patient is an afterthought. The patient winds up being secondary to the needs of providers, insurers, drug companies...everyone else with a stake in our health care system. Purchasers, providers, and payers are usually part of decision-making, but the most important "p"-the patient-is generally excluded. The movement to transform the country's health care delivery system has been underway for several years now, and some moments of truth are approaching. The ultimate success of this monumental effort to improve the way we pay for and deliver care will be measured not only by cost savings, but also by how well payment reform results in better health outcomes and a value-based system that delivers genuinely person-centered care. The Health Care Transformation Task Force-a unique private-sector, multi-stakeholder group whose 42 members represent six of the nation's top 15 health systems, four of the top 25 health insurers, and leading national organizations representing employers and patients and their families-has been at the forefront of helping to accelerate the pace of this transformation. As part of our efforts to transition our health care system toward value-based payment, we strongly support ensuring that new models of payment promote a person-centered care system that improves the care experience for patients and family caregivers. We believe that, to do this, patients and consumers must be engaged as partners at all levels of care and care design including the building of alternative payment models. There are so many insightful stories out there about what happens when physicians experience life as a patient or family member. They always make sobering reading for everyone in health care. Over the years I've heard dozens of these stories from fellow physicians, describing experiences when they've unfortunately been sick themselves. It's an inevitable fact of life for everyone that they will be the patient one day, but it's often an especially life-changing experience for anyone who already works at the frontlines of medicine. Based on these experiences, here are 5 pieces of universal feedback. Only one-fourth of U.S. hospitals complied with established quality standards for having a fully staffed palliative care team, according to study results published in Health Affairs. "What we wanted to do with this study was underscore the gap between what this patient population needs based upon consensus quality guidelines and what is actually happening in hopes it will be a call to action for health system leaders to appropriately invest in staff training and capacity for these programs," Diane E. Meier, MD, director of the Center to Advance Palliative Care and a HemOnc Today Editorial Board member, said during an interview. Meier and colleagues pooled data from the National Palliative Care Registry on staffing of palliative care programs in hospitals during 2012 and 2013. Data indicated that nearly 18,000 additional palliative care physicians would be needed to meet the needs of existing palliative care programs in the United States. Meier spoke with HemOnc Today about the findings and the impact she hopes they will have on palliative care programs across the country. After a health system executive was diagnosed with cancer, her CEO tasked her with creating a system wide initiative to transform end-of-life care. Register Now for Next Courses Which Start January 11th. 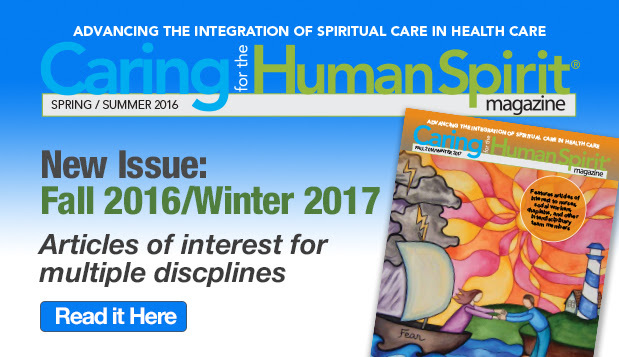 The HealthCare ChaplaincyNetwork™ is pleased to announce our 4th annual Caring for the Human Spirit® Conference. This one-of-a-kind, event will be held in Chicago on March 13-15, 2017 and will draw an international, multi-disciplinary audience on-site and via webinar. The three-day event will consist of one keynote address, four plenaries, and more than 30 workshops of which attendees will select five. The program includes breakfast and lunch, and ample opportunities for networking, visiting exhibit booths and reviewing scientific posters. Group Discounts available, see our website for more details. The real-time broadcast will include keynote and plenary presentations and select workshops. HCCN will select one workshop per series to broadcast. The broadcast is available in English. *Specialty Track workshops will not be broadcasted live. The Webcast provide an excellent opportunity to engage entire staff or multiple members of an organization who might not otherwise be able to attend and facilitates the sharing and dissemination of knowledge while minimizing cost and travel time.